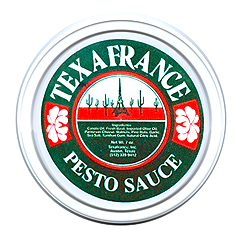 TexaFrance is an innovative, high-quality gourmet manufacturer of sauces, condiments and unique specialty foods. We help consumers with busy lifestyles enjoy fine cuisine anytime with our extensive line of ready-to-use foods. We also help the accomplished gourmand to push their own boundaries of culinary excellence. All of our products are made here in our kitchens using only the finest ingredients. Their fresh flavors and tantalizing textures are possible because we never compromise on quality. Combine your favorite foods with our products to create a flavorful twist on a classic dish. 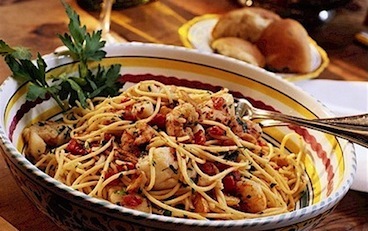 Shown above: Pasta, shrimp and tomatoes with TexaFrance Traditional Basil Pesto. 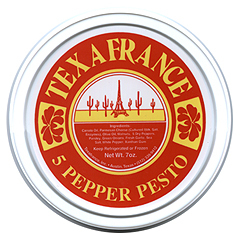 Bring exciting new flavors to classic pasta dishes with our unique pestos. Add flair to southwestern fare with our ever-popular queso. Discover the rich flavor and versatility of our Garlic Essence. Best of all, these are just a few of our gourmet and specialty foods ~ your adventure has only begun. Ready to have your products manufactured by a company that cares about product consistency and understands delivery time frames? 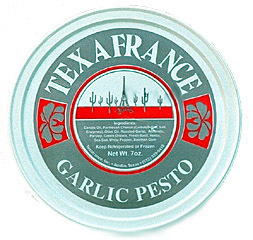 TexaFrance offers complete private label services. If you have an existing product and a distribution line you can benefit from our twenty five years of experience in food production. Our company has built a strong reputation for innovation, reliability, quality, and customer service. Please contact us directly to learn more, or visit our Private Label page. We will never share, sell, or otherwise divulge any information shared by visitors to our site. Period. End of story.